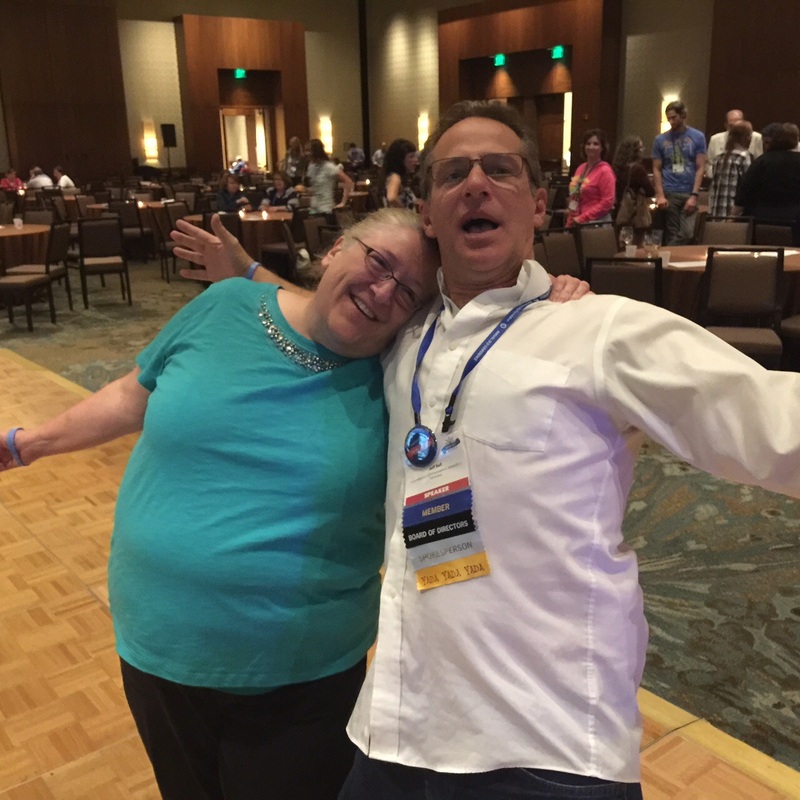 This week I’m hosting Carol Rettner, a kind, hilarious, and brave woman I met at the OCD Conference in L.A. in 2014. When I met Jeff Bell and mentioned I was from Minneapolis, he asked if I’d met Carol — I hadn’t — and later introduced us. He also told me that until recently Carol hadn’t left Minnesota for nearly three decades, but there she was at a conference in California, rooming with a woman she’d met at another conference. And this past summer Carol and I roomed together in Boston, where I learned just how delightful she is. How did you first hear about the conference? Why did you decide to go? My OCD therapist had mentioned it and then a friend said she was going and asked me to go along. I decided to go to that conference because it was in my home state and if my anxiety got too high I could be home in 20 minutes. It was also less expensive since I was able to volunteer and didn’t have the extra expense of a plane ticket. OCD had taken a toll on my finances. I had friends who were attending and so with a lot of encouragement and a little bit of pushing from my therapist, I decided to risk it. 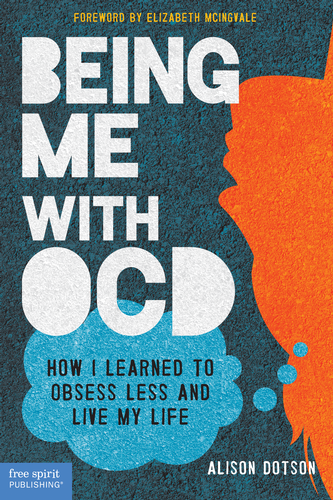 My OCD was getting progressively worse and soon my contamination fears took over my life. Public transportation became almost impossible and if I did have to use it, the decontamination process I had to go through after could last for days. So I didn’t leave Minnesota for 27 years except for my four-month stay at Rogers when I did their residential OCD program. Tell us about your first conference. Going must have been hard, but you pushed past your fears and ended up meeting people who understand what you’d been going through. My first conference was in Minneapolis and I was miserable. I remember I kept telling myself I should just go home! After all, it would only take me 20 minutes and I could be out of this anxiety-provoking situation. I guess somehow I knew that even though I could feel better in 20 minutes it wouldn’t last! OCD would find me again. I had been running for years and I was so tired. I either had to fight or die. It was in Minneapolis that I met Jeff Bell. He saw me looking miserable and reached out to me. I ran from him, too. 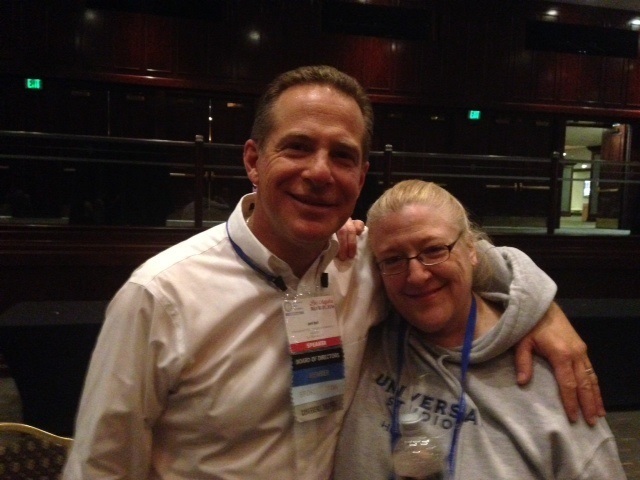 I did find him before the conference ended and we talked and I cried and we became dear friends. I kept in contact with him, I kept doing my ERP, and I slowly got stronger. That hard work — and your friend’s support — paid off, because making your next conference experience a reality required even more gumption. It was three years after attending my first conference in Minneapolis and 27 of not leaving Minnesota that I started thinking about going to the conference in Chicago. That would mean an eight-hour ride on the Mega Bus, using a public restroom, a taxi cab ride to the hotel, and being more than 20 minutes away from home. At the time it seemed like a terrible idea for someone with severe contamination fears. I was terrified, but I had to do something to save my life. Even if I had managed to stay alive physically I was not living. I made it to Chicago and that’s where I finally realized I could feel both anxious and safe. I remember standing on Navy Pier with Jeff Bell and I just started to cry, but for the first time in a very long time they were tears of happiness. I remember telling him that I finally felt alive. How long have you had OCD? How did you realize it was OCD — were you diagnosed by a doctor, and if so, did you have any idea you had OCD before you made an appointment? I’ve had OCD since about the age of three. At that time no one really knew anything about it, and I remember my parents telling me they thought I was just trying to annoy them. As I got older I started hearing and reading more about it. When I was in college I met a person who had OCD and she confirmed what I already knew. It took her six years to convince me to finally get help. I had already lost several jobs because of my OCD. So I went to my first appointment, sat down, and said, “I have OCD, can I leave now?” He was a nice doctor, but I didn’t get ERP therapy and I didn’t get better. I quit counting my hospitalizations after number 37. Can you share some of your obsessions and compulsions with us? Was there one you considered the worst or the hardest to overcome? When I was little everything revolved around keeping people safe. I had to say my prayers in a certain order. I would do these tapping rituals on my closet door at night and if I deviated from the pattern I would have to do the original and all of the deviations. I also had scrupulosity issues when I was fairly young. I remember my dad telling me that scrupulosity was a sin because it meant you didn’t believe in a forgiving God. I spent Saturdays going to confession; I went from church to church re-confessing because I was afraid I had forgotten something. I also had contamination and checking. I think the hardest one was the harming fears. I remember I had wanted to be an elementary school teacher. I started in the program in college but dropped out because of the harming fears. This was definitely the worst one for me because they made me feel like I was some kind of a monster and they kept me from becoming a teacher. Once you knew you had OCD, how did you go about treating it? I saw many different psychiatrists and therapists, but it wasn’t until I started doing ERP that I began to improve. I kept looking for an easier way out and then realized there wasn’t one. I sometimes say I had to hit rock bottom before I finally got help. Did you ever hit what you considered rock bottom? Tell us about it. I feel like I was at rock bottom for a very long time. I would lie in bed at night wondering if I would or could make it through the next day. I was at a point in my life where I completely stopped making plans for a future. I truly believed that this was both my present and my future. There was nothing else. My nights were consumed with OCD. I would plan the route I would take from my bed to my closet, what I could touch and what I couldn’t, what was a safe number to set my alarm at, the thoughts spinning and spinning until I finally fell asleep. Only to have the same thoughts reappear in my OCD dreams. As I started to do ERP and build a great support system something amazing happened: I started to make plans again. These were not plans of how I would make it through the day, these were plans of how I would live each day! We roomed together at the conference in Boston this year, so I know you’re doing pretty well. How did you get to this point on your journey with OCD? I finally had to face the fact that there was no ea sy way out. This wasn’t an illness I could take medications for for a few weeks and be cured. ERP was my best option and also the hardest. I constantly have to remind myself that I don’t need to do everything perfectly. Every step I take forward is one step closer to the life I want for myself. This has always been an issue when I attend the OCD Conference because I still sleep on an air mattress because of contamination fears. In a perfect world I would jump in a hotel bed and deal with it, but the world isn’t perfect and neither am I. I just need to do my best and I will get there. If you could give just one piece of advice to others with OCD, what would it be? Don’t base the decisions you make in your life on what your OCD wants. It is your life; base your decisions on what you want. I too spent years searching for something other than ERP. And Carol’s piece of advice – simple yet profound!